Home Blog What Is Lurking in Your Dog’s Water Bowl? A dog is a man’s best friend. We all know the old saying and for many of us loving dog owners, we couldn’t agree more heartily! A darling doggy can bring joy, fun and a sense of belonging to any home. They share the best parts of your life, are by your side through the worst parts and seem to always know exactly how you feel at any given time. Indeed, when it comes to owning a dog, there are few things in life that are more magical. Since you are taking the time to read this, we know that you take your responsibility of being a dog owner seriously. We know all about those costly trips to the Veterinary Clinic to ensure that your precious pooch always feels in tip-top health. Then there is that rather expensive food that you have been purchasing of late since it’s meant to be better for your dog’s health, as well as all of those treats and toys, to keep your hound a content and happy hound. That’s right, you are dedicated to caring for the physical, emotional and mental needs of your dog and we are sure your dog is eternally grateful! However, with all of the factors to take into consideration when caring for your dog, it is easy to miss the smaller, yet crucial parts of pet care. In fact, your choice and care of your dog’s water bowl could actually have a significant impact on your dog’s health. Let’s find out why we say so. Dogs love to explore. It’s built into pretty much every breed of dog from those handbag pups to bouncy Boxers! Exploring is good for your dog, it helps them to make use of their grey matter and use up their energy. Exploring makes your dog happy and so long as they are exploring in a safe environment it should be encouraged rather than chastised. However, all that exploring means that your dog comes into contact with all sorts of germs and bacteria. Of course, exploring sure does build up a thirst and you will likely spot your precious pooch making a beeline for their water bowl on many occasions after a fun exploration of the garden. Has it suddenly dawned on you what that means for the water bowl that you tend to ignore other than top up with water every time you see it getting low? 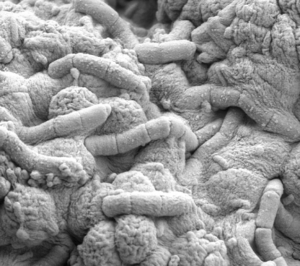 It very well could be a breeding ground for bacteria and ultimately could affect your pet’s health for the worst. What is the answer? Wash daily! It only takes a minute to lift your dog’s water bowl in the morning, give it a quick clean and then fill it up with fresh water. That minute could actually be the difference in how healthy your dog is down the line. Naturally, your dog’s water bowl is going to contain water! We all know that yeast and mold can thrive in a damp environment. An inadequately cared for water bowl can quickly turn into a hive of activity for yeast and mold. That means every time your darling dog puts the head down for a good long slurp it could be more than fresh water that is entering its system. Since we are devoted to ensuring our precious pooches are cared for in every way, including our current discussion on the potential risks associated with their water bowl, allow us to give you one final pointer; as pretty as the specimen may be that you have found, a plastic water bowl is usually not the best choice for your dear doggy! There is a chemical (p-benzohydroquinone if you’re interested) that is in most plastics and actually inhibits the production of melanin. How does this translate to your darling hound? Well, this chemical can be responsible for nasal dermatitis, in other words, that pretty nose and mouth area can end up being plagued with unattractive pink blotches rather than the appealing color that your dog was born with. We know that you may love your dog even if he lost all his hair and grew five tails, but remember, he has street cred too and that means that for the most part plastic bowls are a big no-no! Ceramic bowls are an alternative choice for your dog, however, they can be prone to cracks and of course, cracks love to build up dirt, germs, and grime. Whilst all dog owners may vary in their preference, it is certainly worth considering the benefits of a stainless steel water bowl. Certainly, they are not immune to germs, bacteria, mold, and yeast but you may find that they ward the enemy off better than their ceramic and plastic counterparts. We know that you want to give your precious pooch the best that life had to offer. 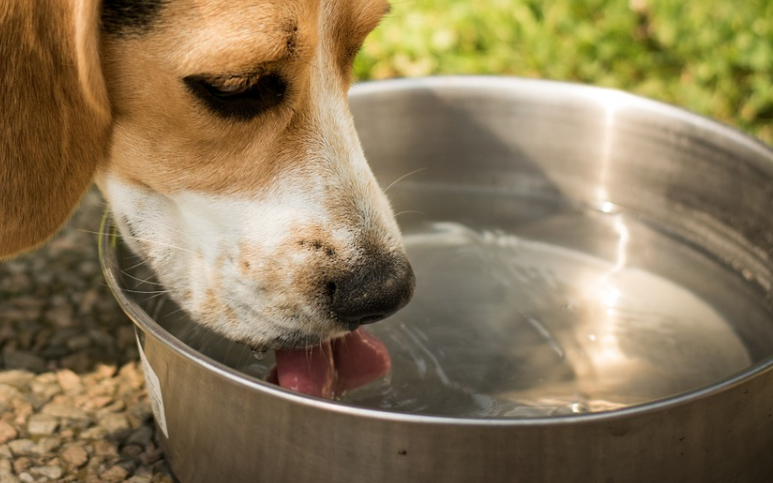 Remember, water is a necessity for every breathing thing, including your darling doggy, but it’s up to you to make sure that the water they drink is fresh, appealing and without a host of germs and bacteria!